Jo-Anne Green, co-director of New Radio and Performing Arts, Inc. (NRPA), just alerted me to an intriguing project. A graduate student at Simon Fraser University in Vancouver, Canada is studying avatar design in Second Life® and is looking for participants who would be willing and interested in contributing a small portion of their time to developing this academic research. Interested participants would be involved in a small 2-4 hour workshop session one day and a follow-up focus group for 1-2 hours involving an avatar design critique session with peers. Both sessions will take place on Odyssey in Second Life. The researcher plans to watch participants create avatars based on established Modern Art design guidelines borrowed from Art-History to see if they still translate into interesting and useful avatar design. The research will be taking snapshots and video of the avatar creators during the building process so they can be critiqued during the peer review session. 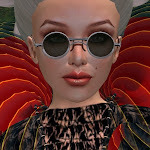 At the end of this research, the researcher will write about the strengths and limitations of using Modernist guidelines to inform avatar design in Second Life and other next generation virtual worlds. All participants will own the rights to their own avatar creations being generated during this workshop. The researcher will only document these designs in order to visually illustrate their relationship to the theoretical frame-work. Genuine interest in designing avatars – especially designing for themselves as well as for clients/friends/other people. Relative fluency in navigating the building controls in Second Life. 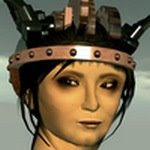 Reasonable fluency in English (written) and/or ability to use an in-world translator effectively. The willingness to allow their avatar designs made in this case-study session to be publicized, documented and researched by the author. The willingness to participate for the duration of the research project. Professes not to be a member of a captive population (inmate), psychiatric in-patient nor a youth under the age of 19. The willingness to sign a consent form (over the age of 19). If you are interested, reply with your name (SL name only is fine), background, contact information availability (including your local time zone) and specific design interests. Submit a notecard with your proposal to uuuuuuu Heliosense, or via email to Jeremy Owen Turner at jot@sfu.ca. Replies of interest must be received by August 10, 2009. Potential participants will be notified of the status of their participation by August 13, 2009 for sessions happening on the following week.